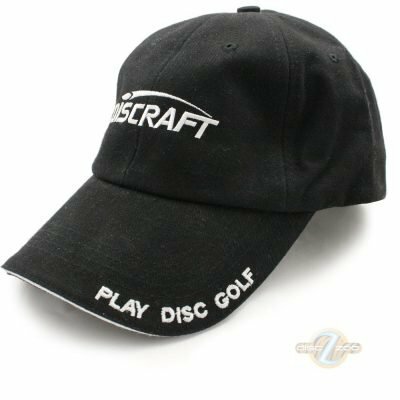 Adjustable cap made of 100% high quality cotton. All graphics are embroidered, with “The World Leader in Disc Sports” over the back opening also. Ventilation is provided by grommets around the top of the cap, and there is a contrast band around the edge of the peak.